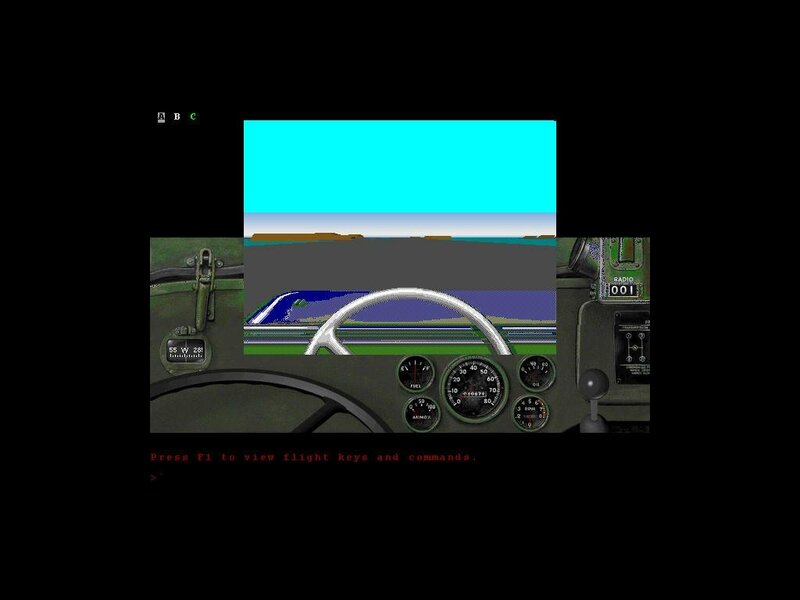 Air Warrior is the simulation that has given many would-be virtual pilots their first taste of what its like to fly against another person instead of an AI-controlled enemy aircraft. 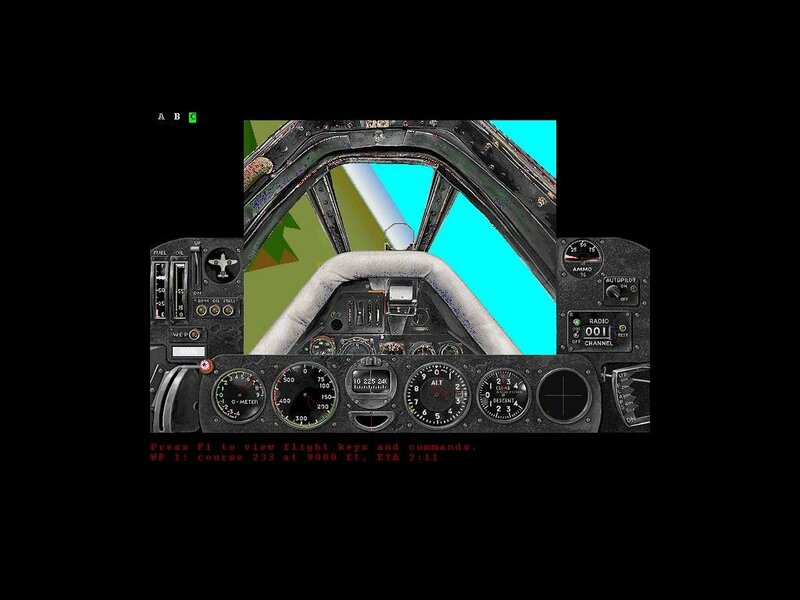 It’s the Doom of flight sims, essentially, so it’s quite an interesting entry as far as 90s flight games. Air Warrior II has a bit of a different focus. 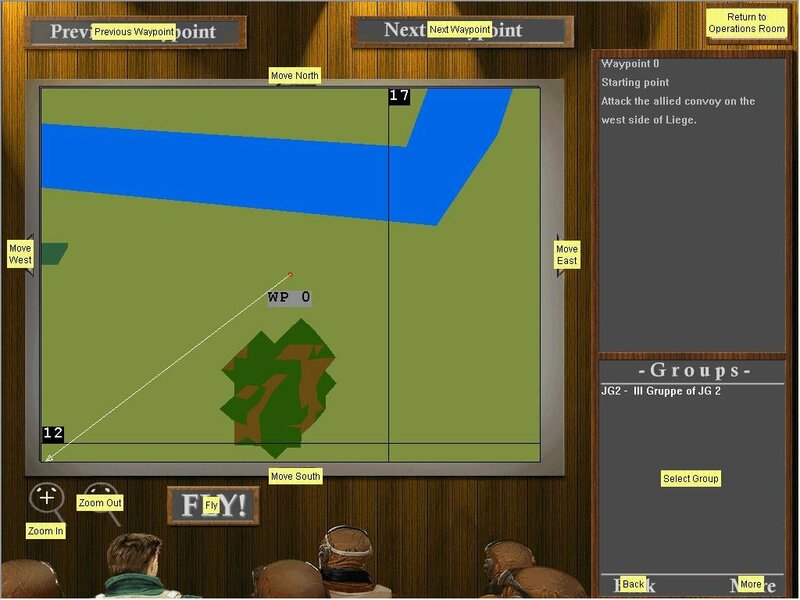 This version of the sim is an all-new stand-alone single-player product, which also acts as a gateway to the now defunct online multiplayer component. 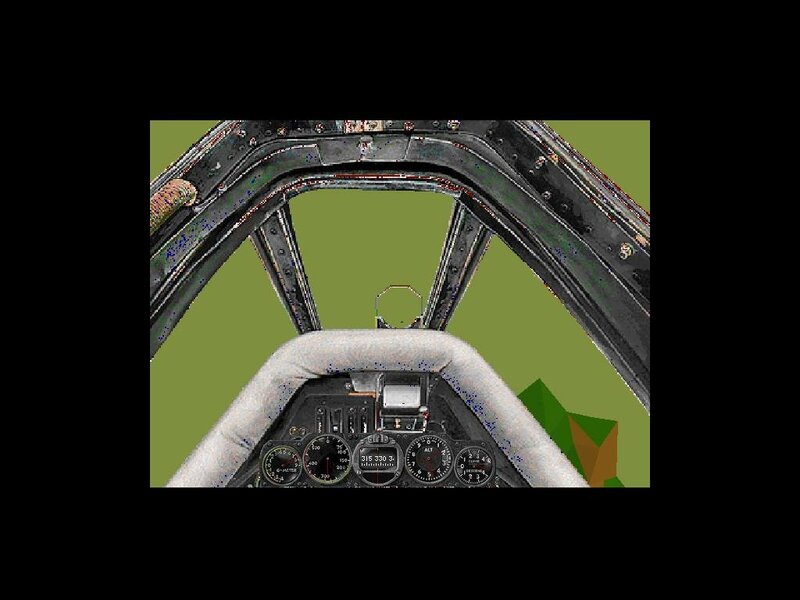 This simulation looks a little different from the Air Warrior I. Don’t jump into the cockpit and expect mind-blowing photo-realistic sights and miles of rolling terrain, but do expect sharp and crisp SVGA graphics that serve their purpose well. Those who remember playing Air Warrior will remember the limited-view cockpit, with the border around the edge with gauges and dials. 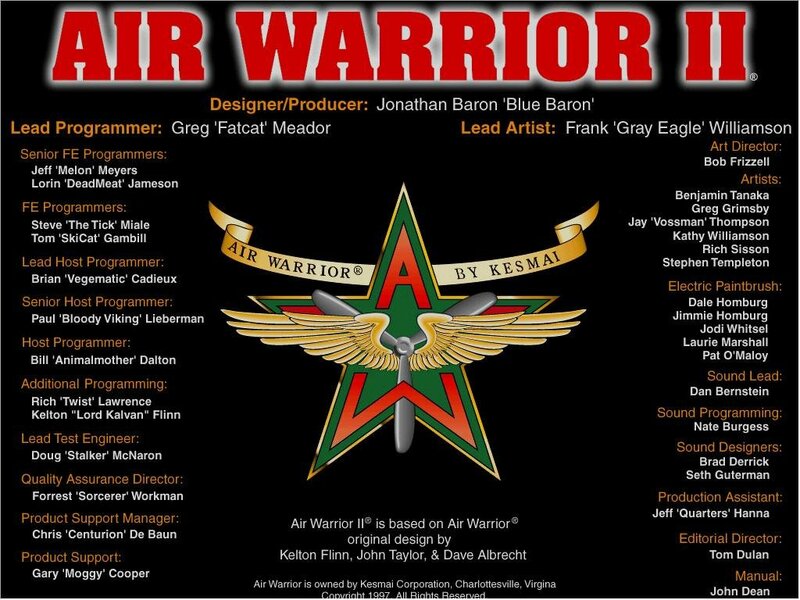 The stand-alone portion of Air Warrior II was supposed to offer around 75 missions in the beginning, but the final product notched that up to 300 missions. The only catch is that you can only play these missions in singleplayer. It’s a fairly good sim, all things considered. 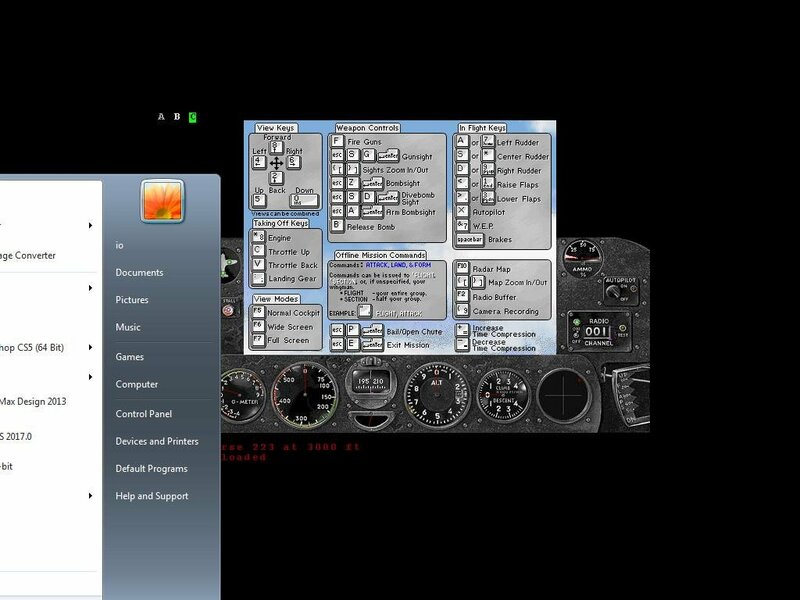 The variety of missions offered makes the sim unlike most others. 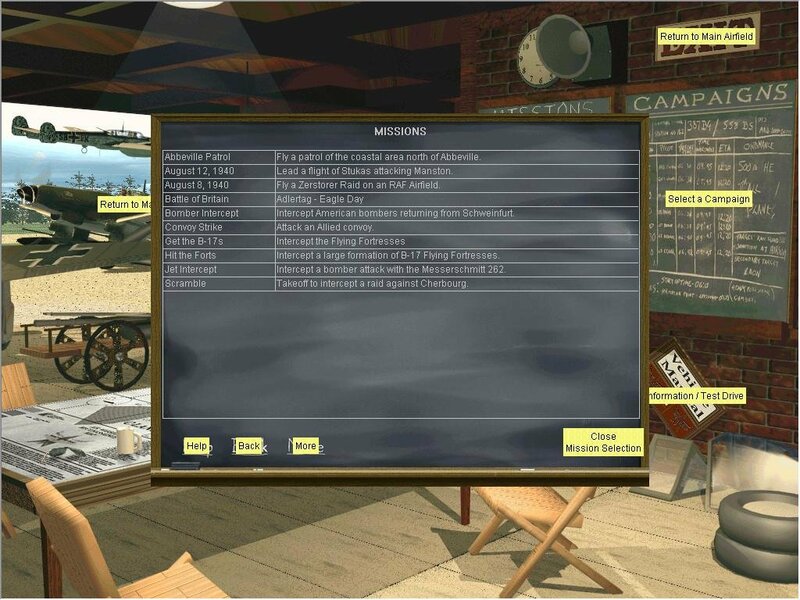 You can choose from four different theaters of operation, spanning World War I to the Korean War. 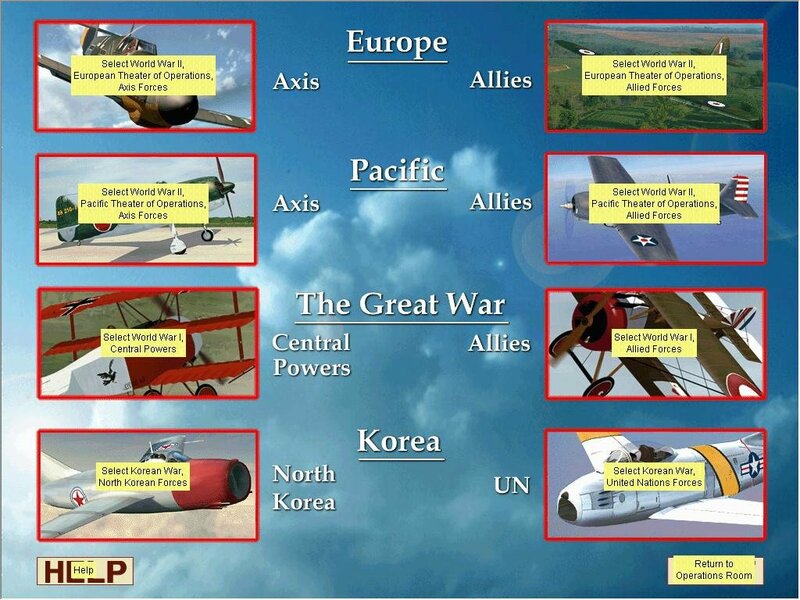 Because of the large time span, you can fly a large number of planes in each war zone. 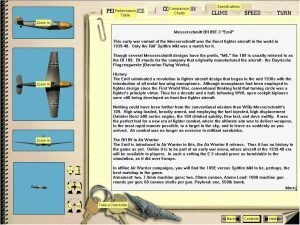 Europe gives you the choice of flying for Germany or the Allies – Fokker Dr1, DVII, Sopwith Camel, Spad XIII and the Brisfit F2B are all available. 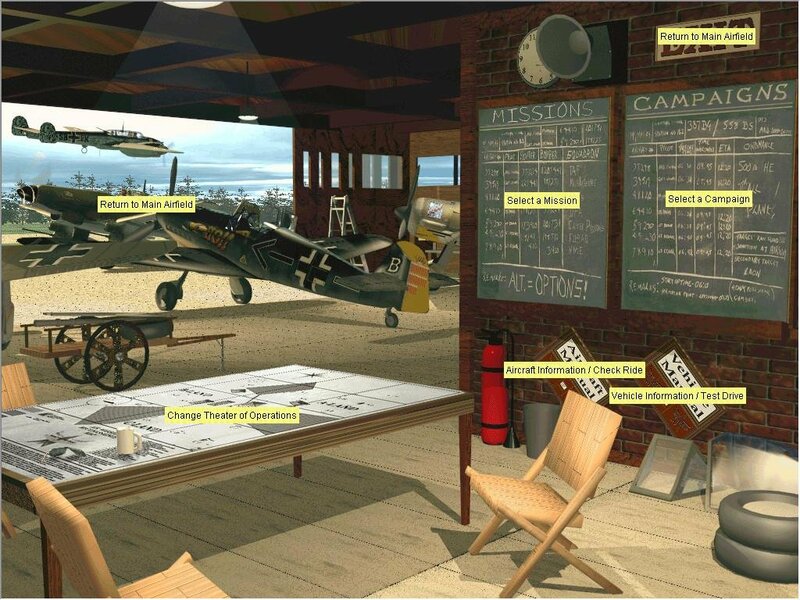 World War II offers two different theaters with Pacific and Europe as the hot spots. 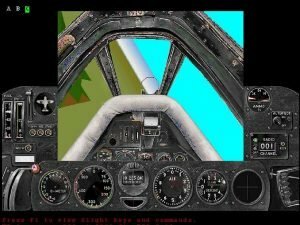 In the Pacific theater, flying the Axis side, you can fly the A6M5 Zero, C-47 Gooney Bird, G4M2 Betty, K-I84 Frank and the N1K1 George. 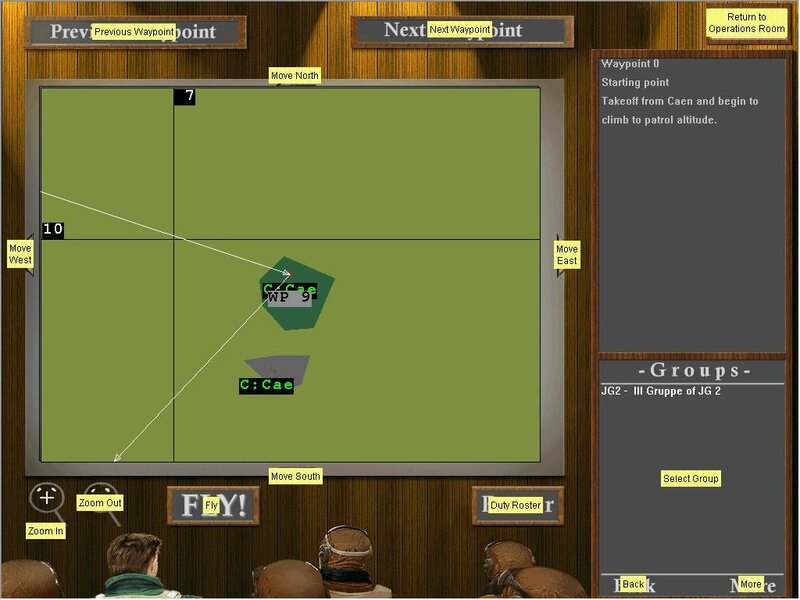 On the Allied side, you can fly even more aircraft! 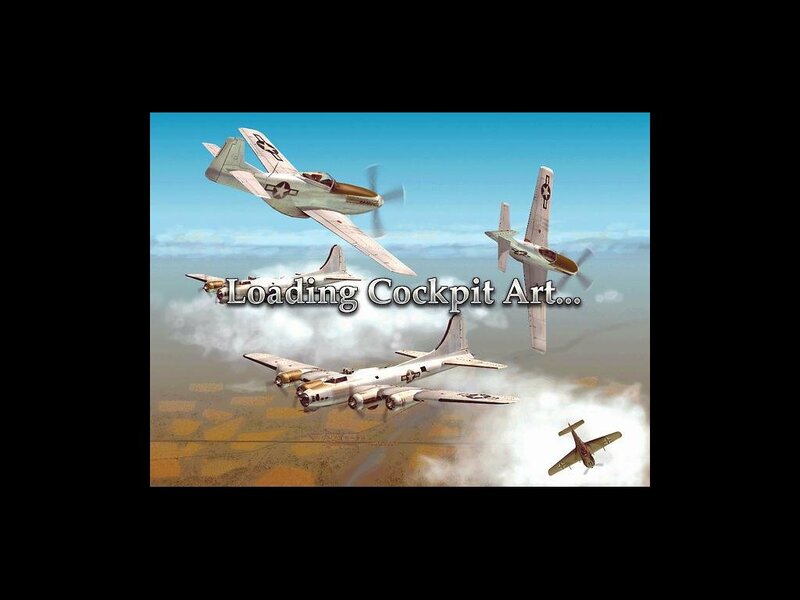 Jump into an A-26B Invader, B-17G Flying Fortress, B-25J Mitchell, C-47 Gooney Bird, F4F-3 Wildcat, F4U-1 Corsair, F6F-3 Hellcat, Hawker Hurricane I, Hawker Hurricane IIb, Mosquito Mk XVI, P-38J Lightning, P-40E Kittyhawk, P-47D Jug, P-51D Mustang, Spitfire MkI, Spitfire MkV, Spitfire Mk IX and the TFB Avenger! 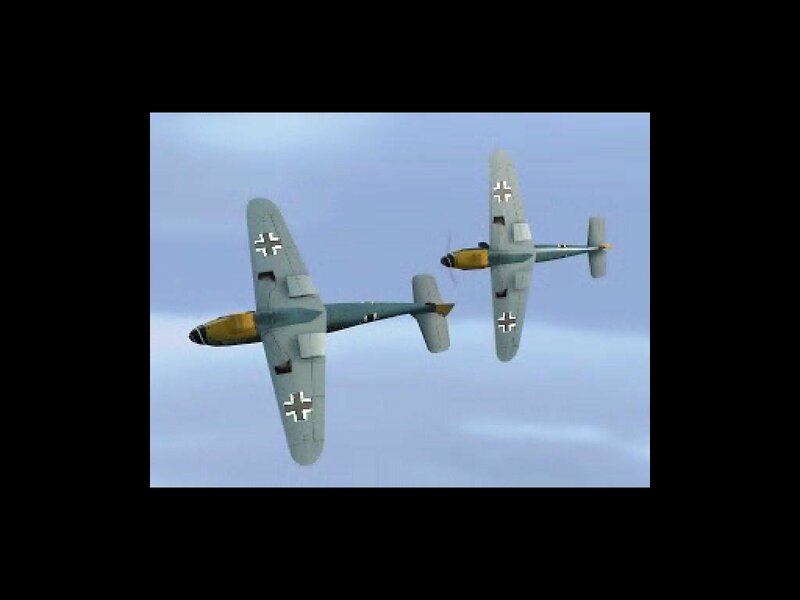 In the European theater of operations, the Axis can fly the Bf109E-3 Emil, Bf109F-4 Franz, Bf109G-2 Gustav, Bf109K-4, Focke Wulf 190A3, & the 190A4, 190AB, 190D9 models, Junkers Ju87B & the JU88A4 model, Me110, Me262 Sturmvogel. 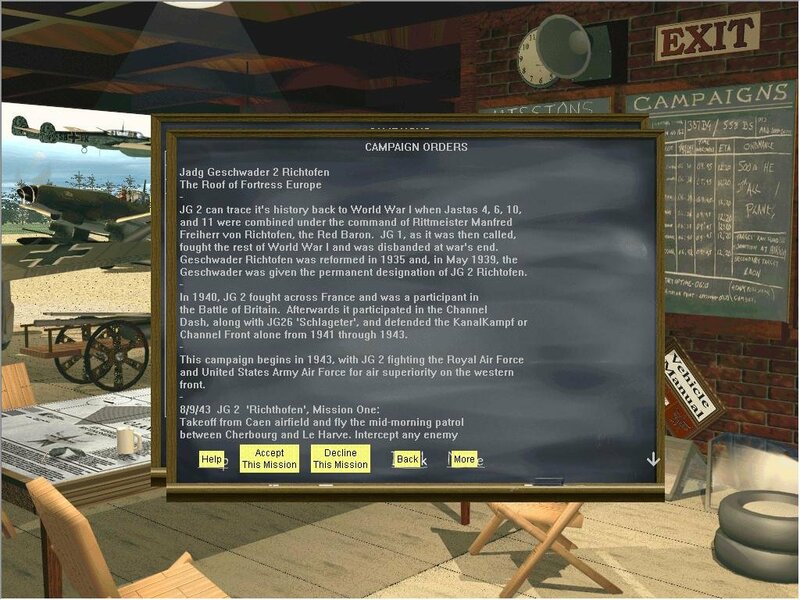 On the other side of the coin, if you choose to fly for the Allies, you can choose the A-26B Invader, B-17G Flying Fortress, C-47 Gooney Bird, Hawker Hurricane I, Hawker Hurricane IIb, IL2m3 Shturmovik, Lavochkin La5-FN, Mosquito Mk XVI, P-38J Lightning, P-47D Jug, P-51D Mustang, Spitfire Mk I & the Mk V & MkIX models, and last but not least, the Yak-9D. 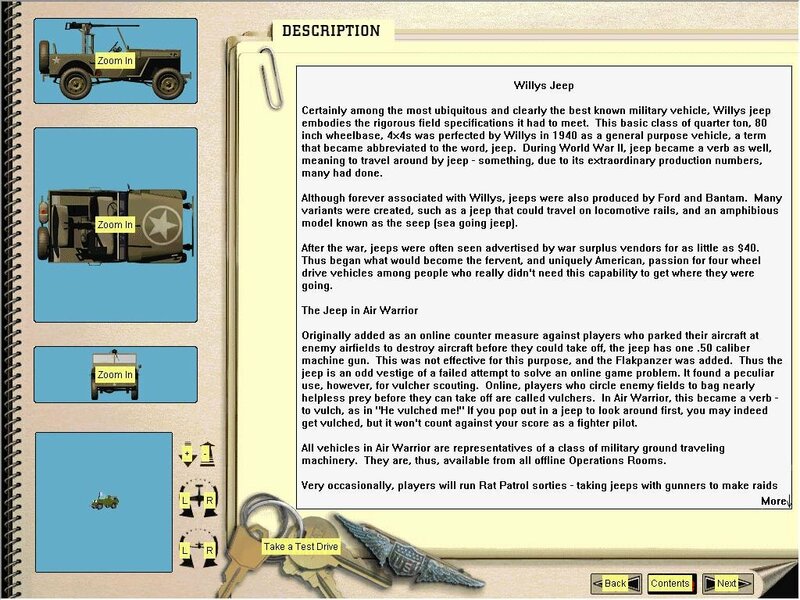 Jet jocks may find this last theater of operations interesting, because while this is mainly a prop simulation modeling the characteristics of each prop-driven aircraft, Air Warrior II also offers two of the earliest jets in the Korean theater. 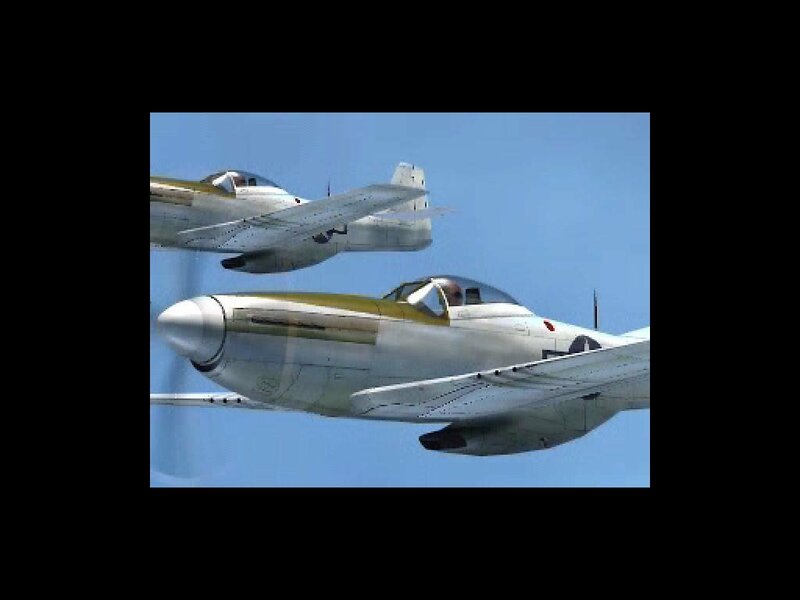 On the UN side, you can fly an A-26B Invader, C-47 Gooney Bird, F4U-1 Corsair, P51-D Mustang, and the North American F-86F Sabre. 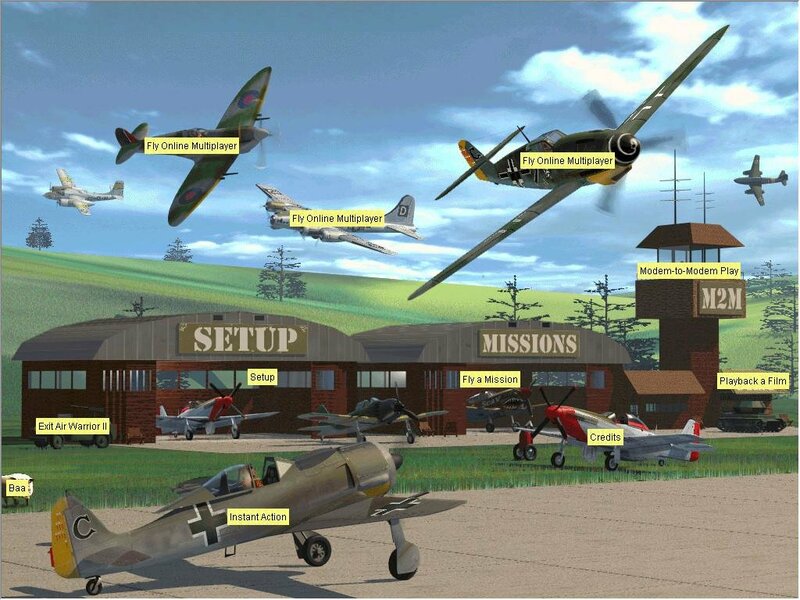 On the North Korean side, you can jump into a C-47 Gooney Bird, IL2m3 Shturmovik, Yak-9D or the Mig-15! 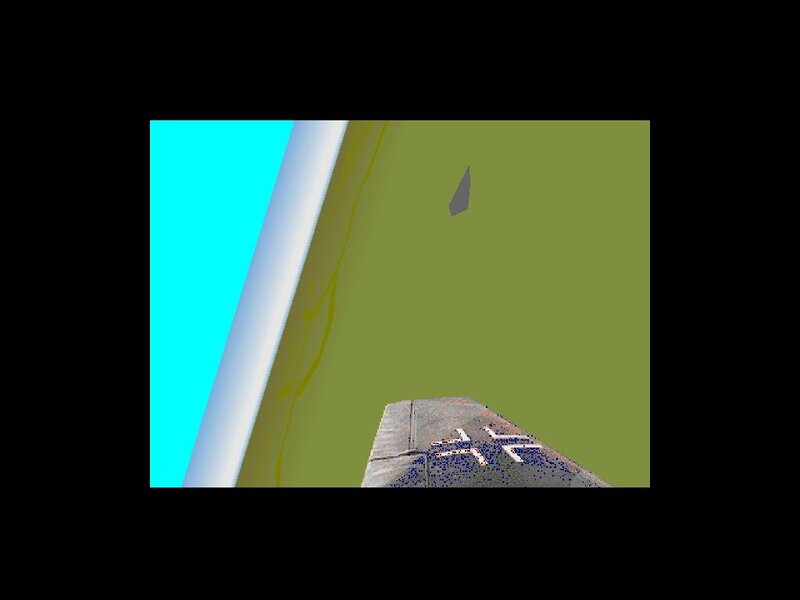 As you can see, there are loads of aircraft to choose from, and what makes AWII even better is that it realistically models them all. 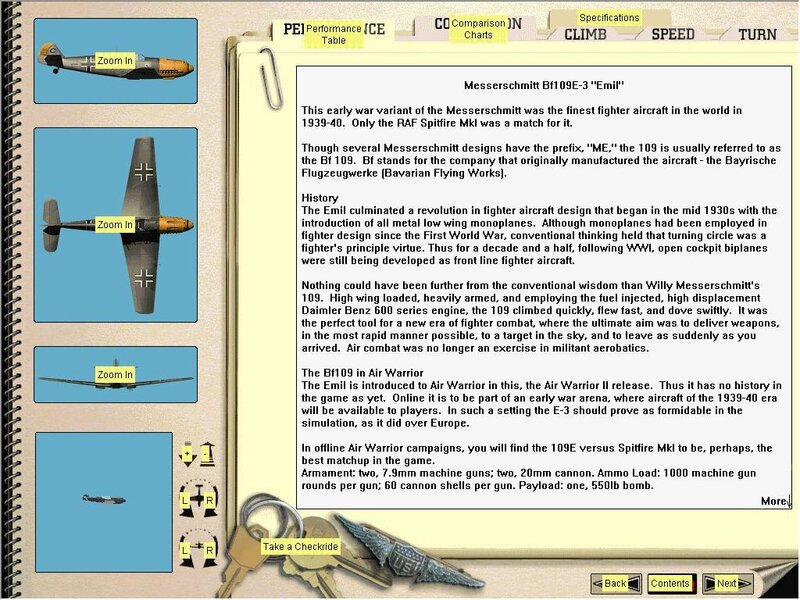 Not only will you find cockpits and sounds unique to each aircraft, but you’ll find that each sport the flight characteristics of their real-life counterparts as well, which you can adjust through three realism levels – novice, ace or veteran. 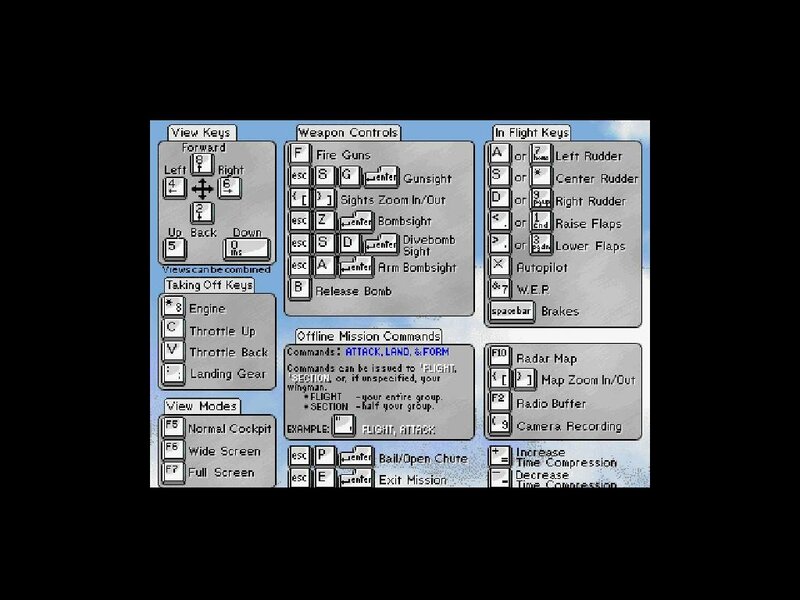 This large number of options, missions and aircraft, as well as the trademark multiplayer that characterized the series, makes Air Warrior II a great entry into the genre despite the lackluster graphics.